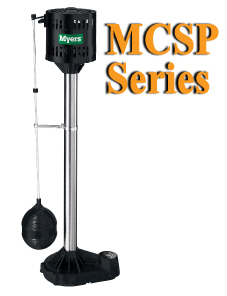 Myers pedestal pumps sold through Pump Express are a non-submersible type of sump pump. 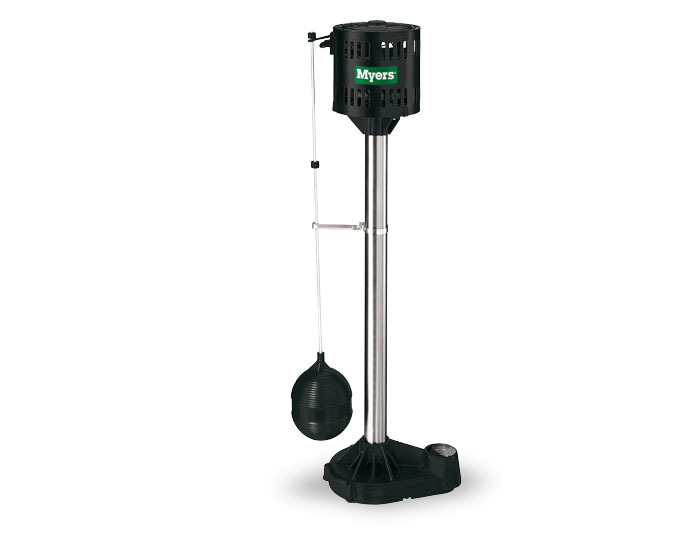 Our Myers pedestal pumps are a cost-effective solution to eliminate flooding concerns. The pump is on a pedestal which keeps it out of the sump pit. Even when the pit is full, the pedestal pump still does not touch it. The pump has an inlet pipe which is how water is pumped out of the pit. 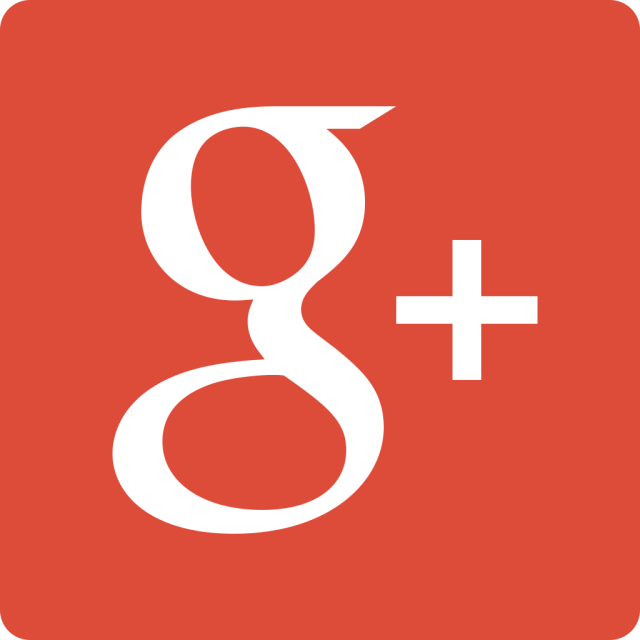 By being above the pit, it is easier to access Myers pedestal pumps than it is to access sump pumps.